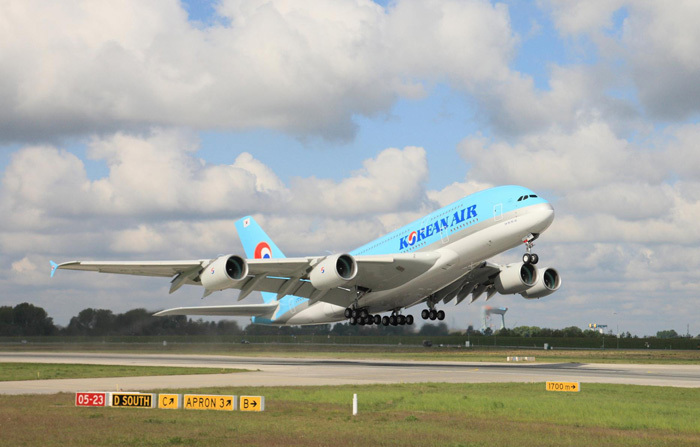 Today the first Airbus A380 for Korean Air (MSN 035) took off to the skies for final flight tests. The tests are being carried out at Airbus Hamburg (Germany). During the upcoming flights, all cabin systems will be tested, including air conditioning, galleys, lavatories and in-flight entertainment. Airbus will also undertake advanced general performance tests with the aircraft before it flies to Toulouse for preparation for delivery to the airline. 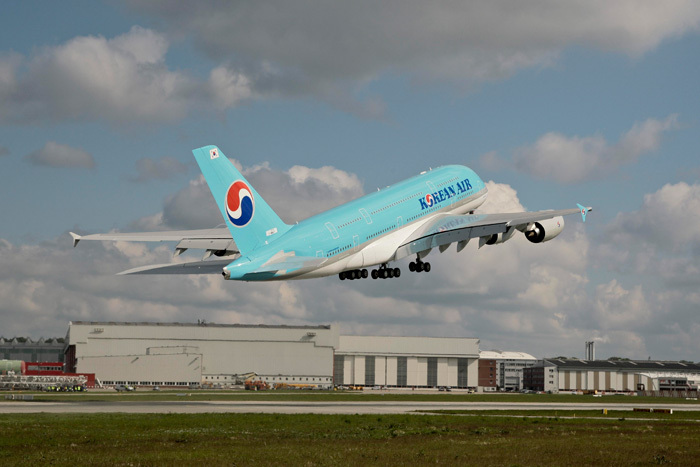 Korean Air will become the sixth operator of the Airbus A380. The Asian carrier will operate the A380 from Seoul to destinations in Asia, followed by non-stop long-haul services to North America and Europe. The airline has ordered 10 A380s. Current A380 operators are Singapore Airlines, Emirates, Qantas, Air France and Lufthansa.